Those who live in apartments, condos, duplexes, and other housing situations in close proximity to their neighbors know all too well how easily and efficiently sound can carry from one unit to another—so if you are wanting to adopt a pet bird and you live in an area like this, you'll do best to avoid getting a species that is known for loud and frequent vocalizations. "Just say no" to the extremely vocal species listed here to avoid potential problems with your neighbors and landlord—choosing a species that is better suited to your living situation will be worth it in the end! 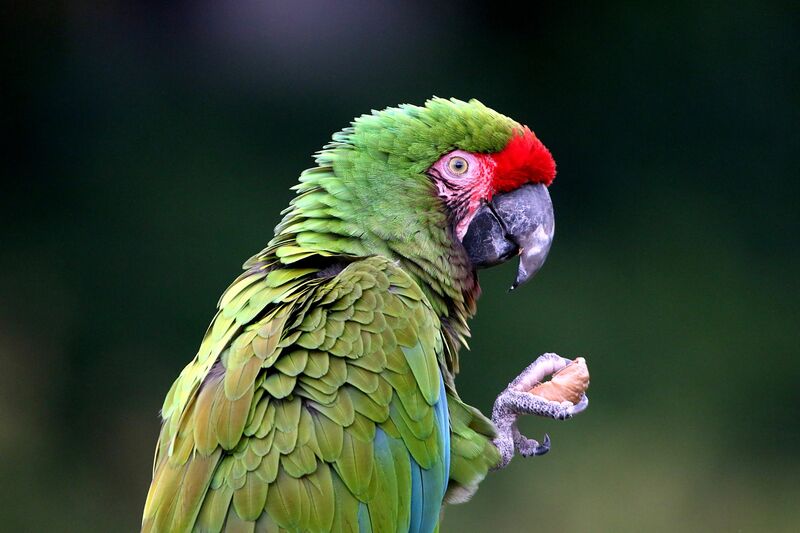 Macaws are beautiful, captivating, highly entertaining parrots—but they can be a real drag for bird owners who live in close quarters with their neighbors. Macaws have an ear-piercing call that can be heard up to a mile away when they scream at full capacity. In addition, they tend to go through bouts of vocalizations at sunrise and sunset, two times of day that many people prefer to have their peace and quiet. Many Macaw owners have suffered greatly at the hands of their neighbors and landlords as a result of their birds' robust voices, so it is generally recommended that they ​are kept only by bird owners who live in single family homes where the noise level poses less of a potential problem for others living nearby. If you live in an apartment and you'd like to adopt a Cockatoo, then it's probably good advice to shop for a new place to live before adopting your bird—Cockatoos are widely known to be among the loudest parrots on Earth, with ear-shattering screams that are sure to bleed through even the most heavily soundproofed walls. Even when they aren't trying to be especially loud, Cockatoos can cause quite a headache with their normal level of chatter. Unless you're in the market to buy a new home, it's probably a better idea to opt for a Cockatiel or another more quiet bird species. Another especially loud parrot species is the popular Amazon Parrot. These birds make amazing pets for the right owners, but can be a challenge to keep in spaces like apartments and condos. While it's true that they can be very noisy, Amazons also need a lot of room to play and exercise, and like some other parrots, they have a tendency to become destructive if they begin to feel bored or neglected. This can lead to property damage costs that can add up quickly for renters, so it's best to skip this species until you decide to purchase a home of your own. In the wild, African Grey Parrots live in jungles and forested areas where loud calls are necessary for them to keep track of one another. While these are among the most prized and intelligent bird species, the truth is that they cannot discern the difference between your 2 bedroom duplex and their native jungle home—so they will act accordingly by making some extraordinarily loud vocalizations from time to time. This might not bother you, but it could quickly become annoying for any neighbors that live within earshot of your feathered friend. Keep this in mind before rushing out to bring one of these birds home! While they are several times smaller than the other bird species listed here, some types of Conures are capable of producing screams at a volume and frequency that can leave your ears ringing for hours—and this is no good when you are living in a multi-family housing unit of any kind. Instead of adopting a conure, consider bringing home a Budgie or another small, quiet bird. Odds are that you (and everyone close to you) will be much happier if you select a species that is a better fit for your particular living situation!